This product hit the shops and blogosphere a month or two back and I’ve finally got round to reviewing it. 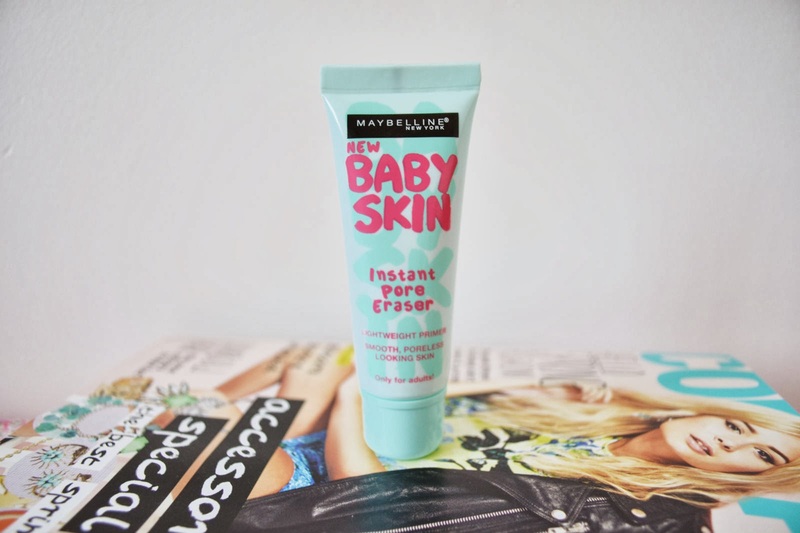 Primers are definitely becoming a lot more common in the drugstore make-up range and the Baby Skin Instant Pore Eraser became all the rage when it was released. I resisted for a while, before finally caving in! It claims to ‘instantly blur the look of pores, without clogging them and smooth and refine the skin’. ‘ve read that this is a dupe for the Smashbox Photofinish Primer, so if you fancy giving a cheaper version a go first, maybe you should give this a go! The packing is small and quite pretty, definitely something which would attract teenagers like myself or younger, and you get 22ml per tube. The product itself is a clear gel with a thick consistency which glides very well onto the skin. I only tend to use it along my nose/cheek in order to cover my pores. It doesn’t feel greasy and smooths the skin beautifully. On application, it does blur the skin slightly, although I found it didn’t really cover my pores when I applied my foundation. I have fairly oily skin and find silicon based primers don’t always work as well which could be why this didn’t have much of an effect on me. It retails at a price of £7.99, which is fair, however I wont be repurchasing due to it not doing a lot for me!